For the Energy Trader: The ICAP branding may be new. 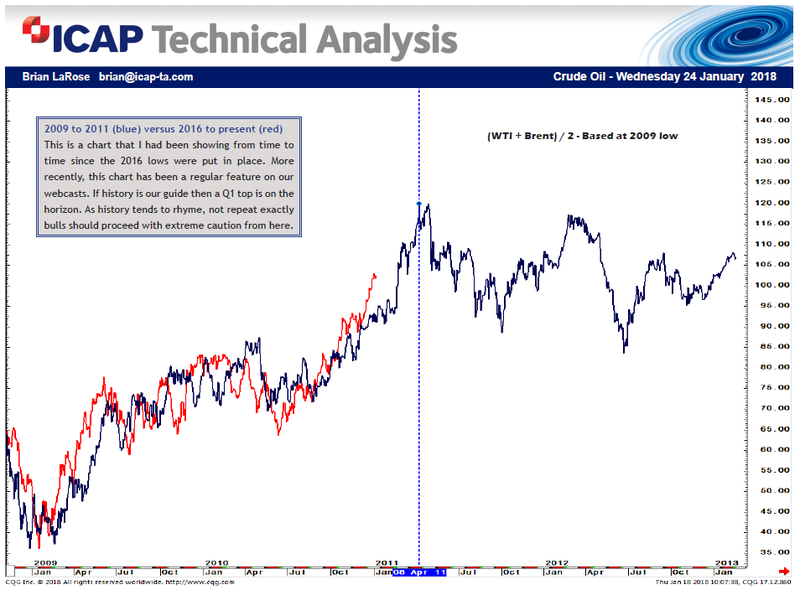 But the technical analysis we provide to energy traders is not. We have been an industry leader in technical analysis and the management of energy price risk since the eighties. Whether implementing a hedging program, identifying seasonal opportunities, managing day to day price risk or executing a trend following strategy, ICAP-TA’s Energy Trader Service is geared towards all market participants in the energy sector. For the Financial Markets Trader: One big market one big mess. This has been a central theme in our coverage of the major financial markets for almost a decade. And things have not changed. ICAP-TA’s Financial Trader Service is there to help hedge funds, institutional clients, professional fund managers and independent traders see through the fundamental fog and help identify macro opportunities based on detailed technical analysis of the financial markets. Education: One of our primary goals at ICAP-TA is to educate our clients. That is why we have over 1000 pages of tutorials housed on our website. We want clients to understand how we arrive at our forecasts; to understand the technical tools we employ and make them their own. Whether one is new to the field of technical analysis or a sophisticated trader looking to expand his/her knowledge trading knowledge ICAP-TA can help. We are Technical Analysts. Our job is to translate the message being conveyed by the price action into meaningful and timely advice for clients. This message is not open to interpretation; opinions play no part in our analysis. And we do not hesitate to dispense advice counter to popular opinion. We are not out to win a popularity contest. What you get is an unbiased market assessment from the price action itself. We are merely spokespeople. Fundamental Analysis is an essential tool. But it is not a suitable tool for managing price risk or executing a trading program. Fundamental Analysis yields neither timing indicators nor price targets. The timing of entry and exit points and the accurate extrapolation of price targets are critical factors in the success of any hedging or trading program. Timing and targeting are the specialties of Technical Analysis. They are the focus of our work. We are THE industry standard when it comes to Technical Analysis. But we do not want anyone to just take us at our word. Find out why we have been around for almost three decades. Sign up today for a 100% obligation free, 100% commitment free, NO credit card required complimentary trial and test drive ICAP’s Technical Analysis Service for 30 days. During the trial period you will have unfettered access to all the same features as a full fledge client. Every week day afternoon we offer an interactive webcast for clients dissecting the day’s price action and looking ahead to the next trading day, week or month. Subscribers to this service are free to join our live broadcast or access a recording of the live broadcast at their convenience. Click the image to the right to view our outlook for 2016. The Chart Blog section of this website offers very brief snit bits of our work here at ICAP-TA. The focus is generally centered on one market or one idea. These insights can be technical in nature, revolve around macro themes, fundamental data points or simply be food for thought. Click the image to the right to view the latest from the Chart Blog.